What Was The Brussels Attack Motive? Early Tuesday morning, two bomb explosions in Brussels' Zaventem International Airport, as well as an explosion in the nearby Maelbeek metro station, have left more than two dozen dead and dozens more injured, in what are being considered a series of coordinated attacks. News on both the details and the motive remain spotty. CBS News confirms that Belgian federal prosecutor Frederic Van Leeuw referred to the bombings as "terrorist attacks," and according to the BBC, Leeuw said that "probably a suicide bomber" was involved in the attacks. RTBF, Belgium's public broadcaster, has also claimed that at least one suicide bomber was involved in the two explosions at the airport. Earlier: However, despite this developing information, there has not yet been a clear explanation as to the exact motive behind the attacks, and authorities have not yet identified suspects. 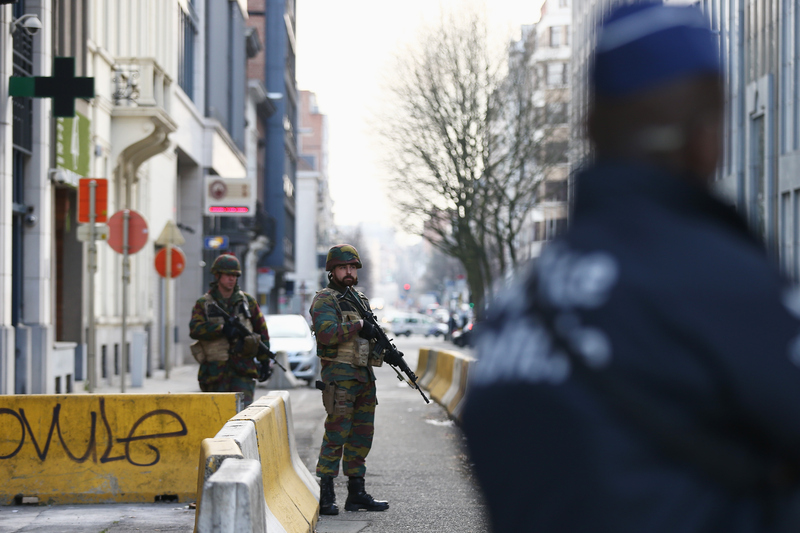 As the BBC notes, the attacks do come "four days after Salah Abdeslam, the main fugitive in the Paris attacks, was seized in Brussels," but there has not been a formal connection made between Abdeslam's capture and this morning's attacks. And some, such as The Independent (UK)'s John Lichfield, claim that the Brussels attacks are not retribution for Abdeslam's capture. The New York Times has also noted that the Maelbeek station is located "near the headquarters complex of the European Union." As of now, security measures in the city are on high alert. All flights to and from Brussels have been diverted, Eurostar has cancelled all train service in or out of the city at the present time, and security is currently stepped up at other European airports, such as Heathrow and Gatwick in the UK.